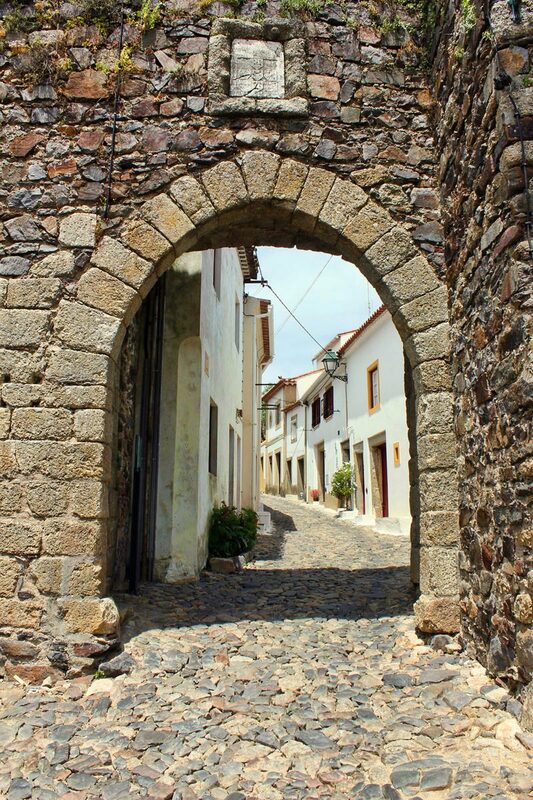 The small town of Castelo de Vide is one of the gems of the Alto Alentejo region. Here a jumble of red roofed, whitewashed houses clings to the side of the lush slopes of the foothills of the Serra de São Mamede. The old quarter has been described as one of the best preserved medieval towns in Portugal and it sometimes feels like life may not have changed much here since those days. What the town might lack in grand monuments it more than makes up for in ambience and charm. 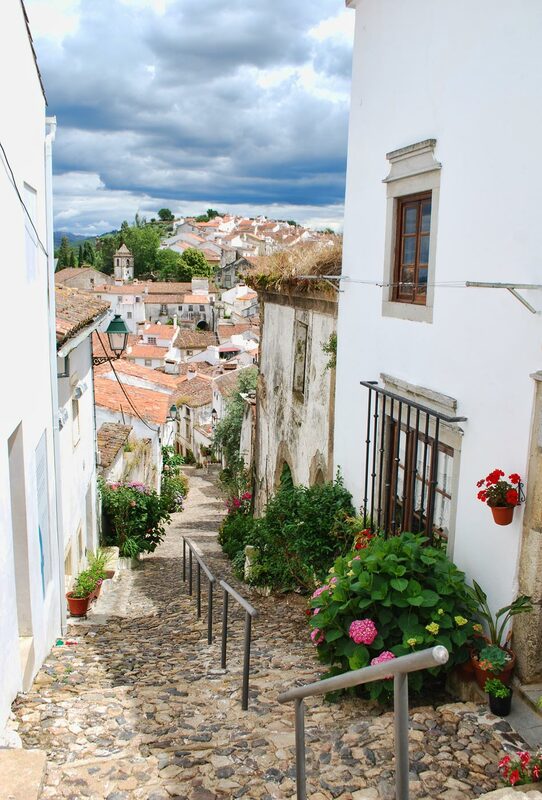 Castelo de Vide is a place to spend a day exploring the flower-lined cobbled lanes which wind up to the castle and relaxing in peaceful squares. The history of this area goes back thousands of years and the surrounding countryside is dotted with a wealth of ancient megalithic sites. 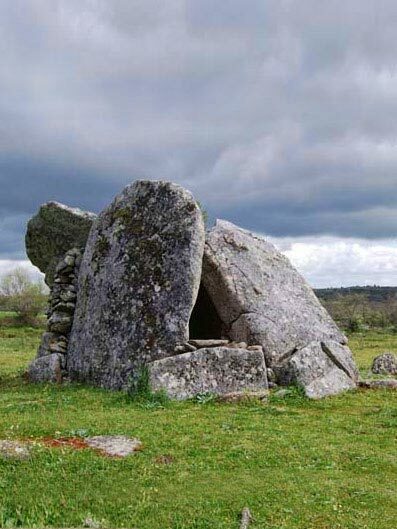 A number of Dolmens, menhirs and cromlechs dating back to the late Bronze Age can be found close by, most notable of which are the Anta dos Coureleiros and the Menir da Meada. Coureleiros contains the remains of five burial chambers in various states of repair. Together these form the Parque Megalítico dos Coureleiros (Coureleiros Megalithic Park). The Menir da Meada is a single standing stone which at 7.15 metres tall is the largest in the whole Iberian Peninsula.Other nearby monuments include the Anta do Pombal, Anta da Melrica and the Anta do Curral do Galhordas. Some of Castelo de Vide's earliest inhabitants were the Romans who settled here in 44 BC. The nearby Roman settlement of Miróbrigahas been the source of many archaeological finds. 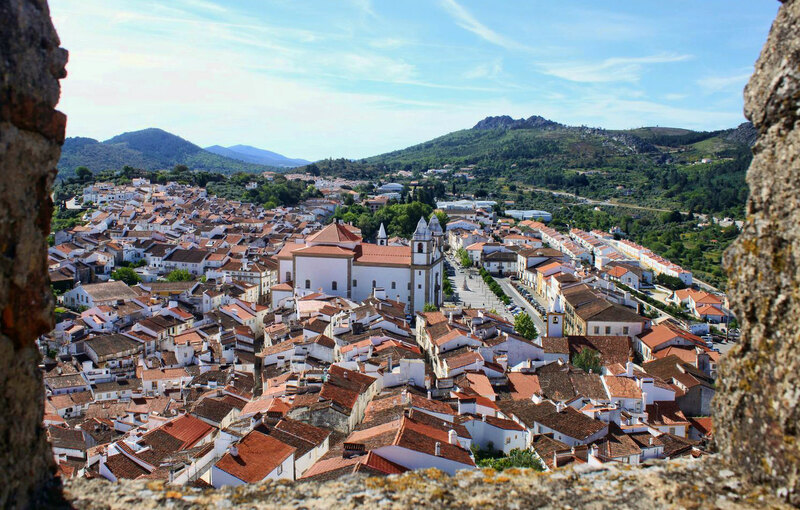 They saw the town's strategic potential as an important point on the road from Merida in Spain to the Atlantic coast in Portugal. After the Romans came the Vandals, and as if to live up to their name they destroyed the town. By the 7th century, like much of southern Portugal, the Moors had conquered Castelo de Vide. They held the town until 1148 when it was taken by the forces of Gonçalo Mousinho with the town receiving a Royal Charter in 1180. In those days 'Vide', as it was known, was responsible for organising its own defences and in return its young men were not required to serve the crown as soldiers. 'Vide' only became Castelo de Vide in 1310 when, under the order of King Dom Dinis, a new castle was built. It was here that the king negotiated to marry his queen, Isabel of Aragon. This is the castle we see today, standing guard over the town below and border with Spain beyond. It is well worth climbing the spiral stairs to the top of the castle tower for the view of the surrounding countryside. In addition to the castle there are defensive walls that encompass the oldest parts of the town, preserving all its medieval character. Towards the end of the 15th century Castelo de Vide had attracted a significant Jewish community. They fled here as the result of persecution by the Catholic church's Inquisition in Spain and settled in a part of the town now known as the Judiaria or Jewish Quarter. Whilst Portugal was somewhat more tolerant the area in which Jews could live was restricted and many were pressured into converting to Christianity. This area occupies the winding cobbled streets that run down from the gardens of the main Igreja de Santa Maria. Here you will find whitewashed cottages with distinctive granite, gothic doorways and overflowing flower baskets.At the heart of the Jewish Quarter is a small square in which sits the Fonte da Vila (town fountain). 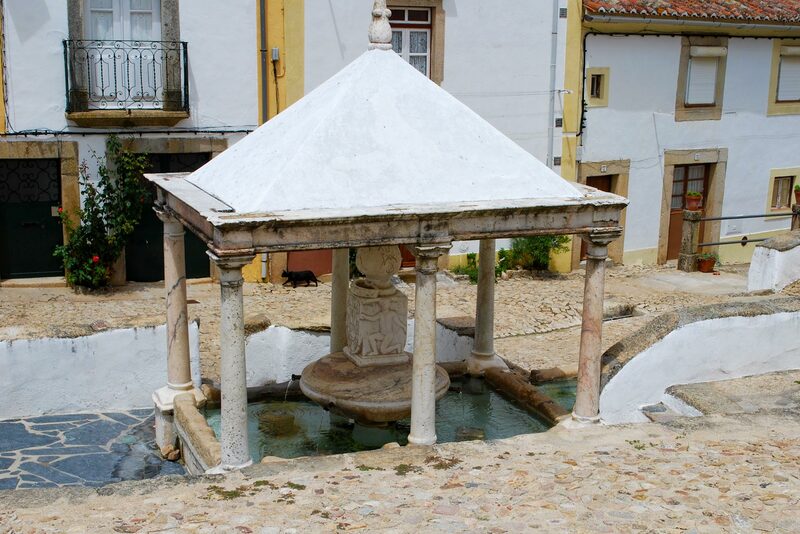 This 16th century Renaissance fountain is made of marble and granite and dispenses Castelo de Vide's well known mineral water. It is said that drinking the water will cure all manner of ailments from high blood pressure to diabetes! On the edge of the Jewish Quarter, just off Rua da Fonte is the 13th century synagogue (Sinagoga). This is the oldest synagogue in Portugal and possibly the oldest in Western Europe. From the outside there is little remarkable about this synagogue and it looks much like the surrounding cottages, which is exactly what it was originally. Inside there still remains the wooden tabernacle and mihrab along with a small museum chronicling the life of Jews in the town. Below the medieval part of town is the modern day town centre. This consists largely of 17th and 18th century buildings and the narrow winding streets are replaced by wider avenues and squares. The elegant Praça Dom Pedro V is the main square and this is where you will find much of Castelo de Vide's finest architecture. It is clear from the size and design flourishes of these buildings that this town was once a prosperous place. 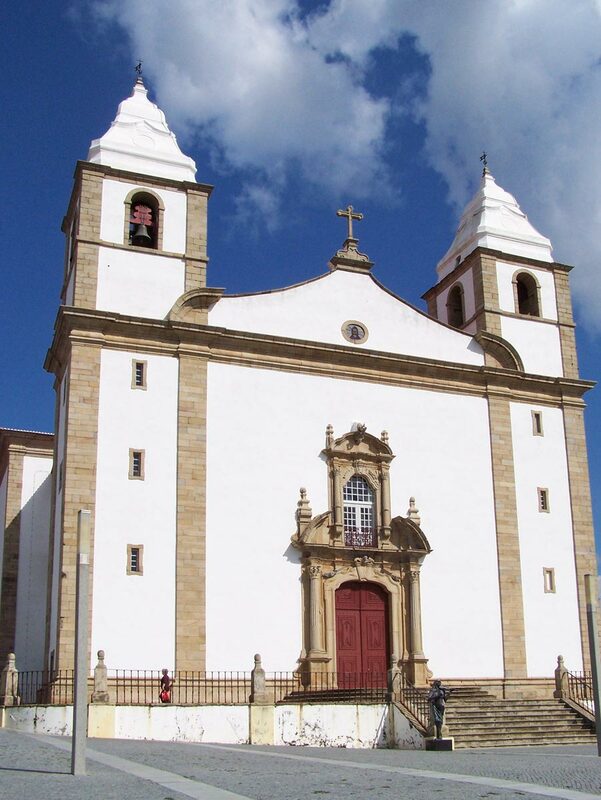 The square lies in front of the town's somewhat oversized main church, the Baroque Igreja de Santa Maria da Devesa. Taking nearly 100 years, the church was completed in 1873. The facade of whitewashed stone and granite features twin bell towers along with a wonderfully ornate Baroque doorway. Competing with the church, across the square is the town hall with its ornate clock tower which mirrors the bell towers of the church. Castelo de Vide is also home to any number of smaller chapels including the 13th century Salvador do Mundo, which is the oldest and the diminutive Nossa Senhora da Alegria. Not much to look at from the outside the interior of the latter is decorated from floor to ceiling with white, blue and yellow 17th century floral tiles.